Looking for the best motorcycle accident lawyer in NYC? The New York motorcycle accident attorneys at Friedman, Levy, Goldfarb & Green understand and appreciate these injury risks and the dangers faced by New York State’s 400,000 licensed riders. If your ride is damaged and you suffer injuries when a careless motorist causes you to crash your bike, we can help you recover the compensation you need to recover from injuries and to get back on your bike as soon as is possible. New York State’s Department of Health reports that almost 5,000 motorcycle riders make emergency room visits every year following traffic accidents. More than 1500 of those riders are hospitalized and approximately 140 will die as a result of injuries suffered in a motorcycle crash. If you are injured in a motorcycle crash, you should first understand the liability issues you will encounter when you seek motorcycle accident compensation. In every motorcycle accident case, preserving the evidence of the accident is crucial to establishing liability and apportioning responsibility between the parties. You can improve your chances of preserving critical evidence if you contact an experienced motorcycle personal injury lawyer as soon after an accident as is possible. Motorcyclists are most likely to suffer bruises and abrasions (“road rash”), bone fractures, and head and spinal injuries in motorcycle accidents. Many bone fractures are caused by heavy bikes that fall onto riders and their passengers. Head injuries occur when a rider is thrown from his bike. Unlike New York State, many states do not require riders to wear helmets. The right protective headgear and eyewear, however, can reduce the likelihood of a head injury in a motorcycle accident by 30% or more. 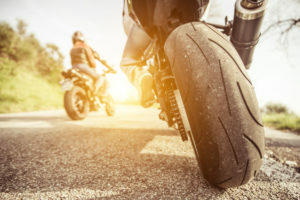 Both riders and their passengers are prone to suffering injuries in a motorcycle accident, and both of those parties can sue a motorist that caused the accident for their respective injuries. A passenger may also have a valid cause of action against the rider, particularly if the rider is inexperienced or was operating the bike in an unsafe manner. In many instances, both the rider’s and the negligent motorist’s insurance companies will be parties to motorcycle accident lawsuit settlement negotiations. The first settlement offers that insurance companies make are typically far below the costs and expenses incurred by the injured parties. Most insurance companies, for example, place a low dollar value on the pain and suffering that an injured party experiences in the aftermath of a motorcycle accident. An experienced attorney will guide you to understand the fair compensation that you deserve after you have been injured in a motorcycle crash. Recovering from a motorcycle accident can be a long, hard road. And it is a road you should not head down alone. The New York City motorcycle personal injury lawyers at Friedman, Levy, Goldfarb, & Green will fight for the maximum damages you need to get back on your bike. 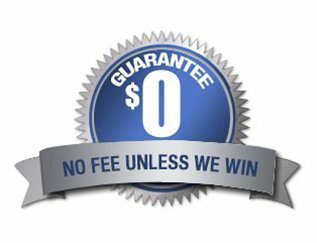 We have successfully helped riders in Manhattan, Brooklyn, the Bronx, and throughout New York City and Long Island recognize the low-ball offers and other tactics used by the insurance companies to settle cases for less than they are worth. When you call our motorcycle accident lawyers immediately after your crash, we will start the crucial step of gathering the evidence we need to fight for your compensation and to assist you to recover from your injuries. Call us today for a free, no-obligation case review, and find out how much your lawsuit could be worth!